This world-leading journal is now available on your iPad. 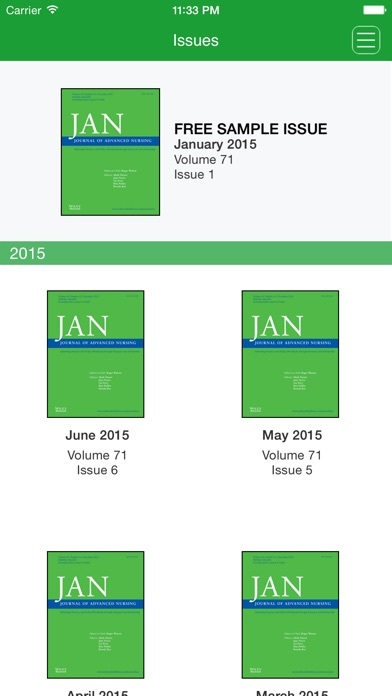 Fresh from the newsstand, Journal of Advanced Nursing contributes to the advancement of evidence-based nursing, midwifery and healthcare by disseminating high quality research and scholarship of contemporary relevance and with potential to advance knowledge for practice, education, management or policy. 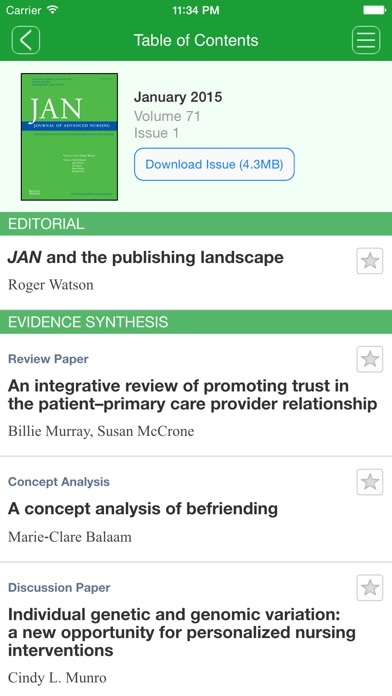 With a mixture of original research, review articles, discussion papers and concept analysis, the JAN app will allow you to enjoy an entirely new browsing and reading experience, enabling you to keep up to date with the most important developments in nursing research even faster. 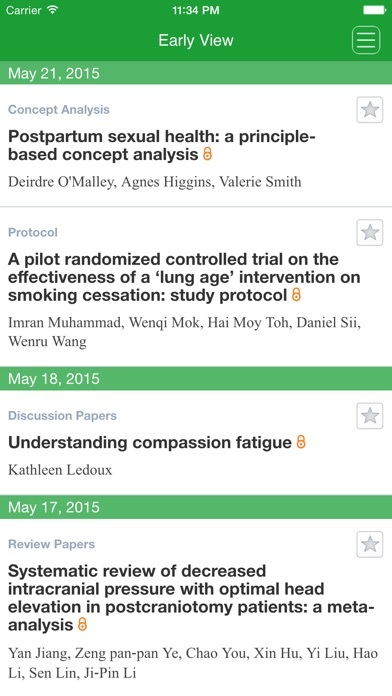 Including: - Stay current with the latest articles through Early View - Receive alerts when new issues are available (opt in) - Download articles and issues for offline perusal - Save your favourite articles for quick and easy access, including offline - Browse issues before you decide to download them - Dynamic References show references in context - Full screen figure and table viewer - Links to compatible supporting information for articles (not available offline) - Share article abstract and link via email - Share figures or tables via email - Access your personal or institutional subscription to Journal of Advanced Nursing on your iPad (institutional subscribers require “roaming access” setup on Wiley Online Library) - No subscription? Abstracts are freely available and some full content, plus a free sample issue, is included. 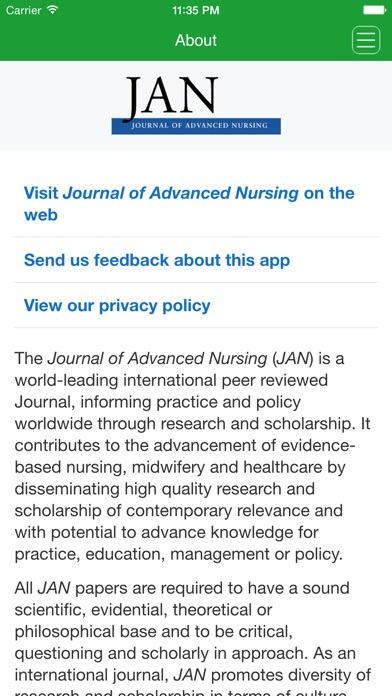 The Journal of Advanced Nursing (JAN) is a world-leading international peer reviewed Journal, informing practice and policy worldwide through research and scholarship. JAN targets readers who are committed to advancing practice and professional development on the basis of new knowledge and evidence. Published issues feature Research Articles, Review Articles, Discussion Papers and Concept Analysis Papers. CURRENT SUBSCRIBERS to Journal of Advanced Nursing can “pair” their device with their personal or institutional subscription to enjoy full access in this iPad edition. SUBSCRIBE IN THE APP: Annual Subscriptions (12 issues) for the iPad-only edition are available for $349.99 (US) per year. Payment is charged to your iTunes account after confirmation of purchase. Journal of Advanced Nursing subscriptions automatically renew within 24 hours of the end of your subscription period for $349.99 (US) unless auto-renew is turned off at least 24 hours before the end of the subscription period. To turn off auto-renew, go to your iTunes account settings after purchase. Note that subscriptions cannot be cancelled during the term of the subscription, but you can still turn off auto-renew to prevent automatic renewal of your subscription. Note that any unused portion of a free trial period, if offered, will be forfeited when you purchases a subscription.